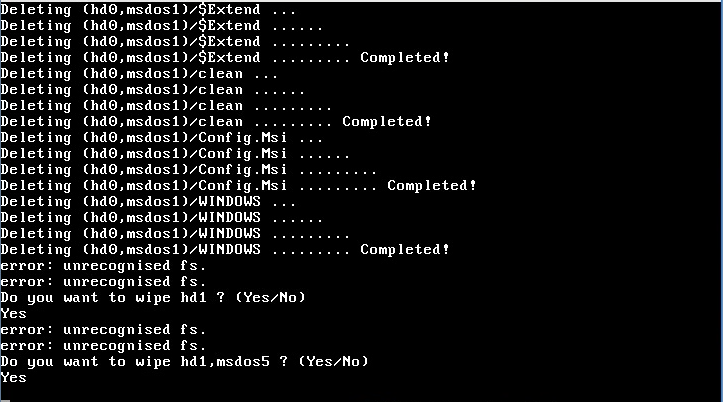 Update 1st April 2015 : You might be wondering why in 2015 or a later year you are suffering this same joke even without using Super Grub Disk 0.9800 version. The reason is that latest Super Grub2 Disk versions integrate this special functionality but it only triggers on April 1st days unlike the 0.9800 version joke which was triggered everyday. 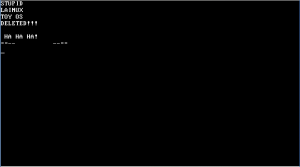 If you have tried Super Grub Disk 0.9800 yesterday you will have noticed that were unable to write NO when asked if you wanted to delete your partitions and folders. 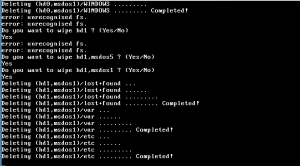 Just to find that MFSTH4CK3R wanted to delete your stupid LAINUX TOY OS. This is not Super Grub Disk (based on Grub1) but Super Grub2 Disk. The script was designed to find no more than 23 folders or so… that meant that you would be only suffering for about 40 seconds. 40 seconds time was choosen so that could use the disk as SG2D anyways (Having to wait till it loops into all your hard disks and filesystems is not funny the third time you see it). I sent the release to Freecode (freshmeat) March 31 but instead of being published on April 1 it get published in March 31. I also sent the piece of news to Barrapunto (the Spanish slashdot). I don’t have time to resurrect SGD and it makes no sense with Grub2 having scripting and so on. 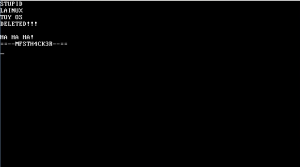 There happens to be a patch for Grub1 to make it support btrfs. Restore Grub2 from Grub1 with an special dd command? Might be. But not sure if it’s even possible. And that,s it. Now I have to decide if I remove the SGD 0.9800 release of if I left it there so that I can drive people to Super Grub2 Disk and Rescatux. Thanks for making me waste a blank CD I could have used more usefully for a much needed GRUB2 iso CD to cleanly restore my Windows XP mbr! Where have you downloaded it? The download is no longer valid nowadays. This cd that you are complaining it is actually a GRUB2 iso so you can boot into Windows XP and try to fix it from inside it. 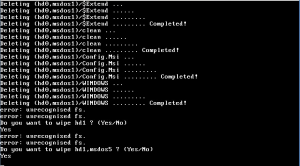 Maybe installing EasyBCD from Windows. You people almost gave me heart attack this morning. Defo more efficinet wake up call than strong espresso. That’s a good one buddy! Nearly died on a heart attack, then I remembered, I don’t have a WindowsOS on that computer XD ! Thanks for the adrenaline rush ! 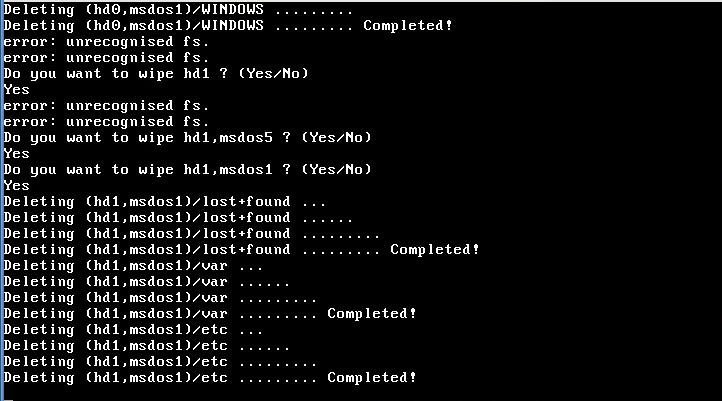 Imagine the scenario : I was cloning a HDD containing the work of all my life, and this message appeared. I almost had an heart attack !!! 5 more seconds and I would be passed ! Finally I was very happy that I was just a joke, It took me hours to recover a normal state. By the way, thank you for the dev of this program (not the joke). This is really an essential product. well… I must admit… this is one hell of a prank.. * hats off *.. damn prank hit me today for the first time on a usb stick install I was using to boot up a Debian server.. well done really… seldom ever get “caught” like this. This was a very well done April Fools/Easter Egg script. Even six years later. I only use SGD2 for 3 years now and I never seen this TILL NOW. Freaked me out enough to get online and come here. Makes me wonder now what other hidden eggs scripts Adrian15 might have put on SGD2? 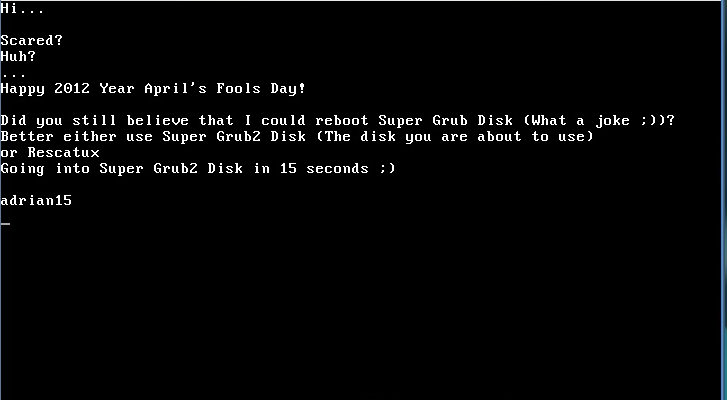 I once thought about upgrading this Super Grub2 Disk April Fools egg so that you got something similar to the Petya virus but I, somehow, discarded it. You should actually check Rescatux for a different April Fools egg. It’s going to be a multi-cultural one. The Spanish one (28th December) and the English one (1st April).